There are so many different styles of martial art classes to choose from now-a-days, you have to invest more time and energy into attracting the interest of your next junior student (and their parents). We all know regularly awarding cadets on their progress only serves to make them train harder and retain their interest. So please visit the Martial Arts Badges website to explore how you can use these inexpensive merit badges in your own junior classes to increase the level of service you provide your students. 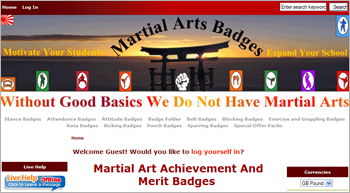 Sensei Alan Woodhouse of the EGKA Hedge End Dojo has invested a lot of time in creating the Martial Arts Badge website. He can supply all of your martial art merit badge requirements at highly competitive prices and at sensible re-order levels. Sensei Ernie Molyneux and Sensei Roy Flatt have published their second edition of this popular subscription video instruction library. They now have subscribers from all over the world. The platform will now work on iPhone/iPads and most other android phones with a good Wifi broadband connection. 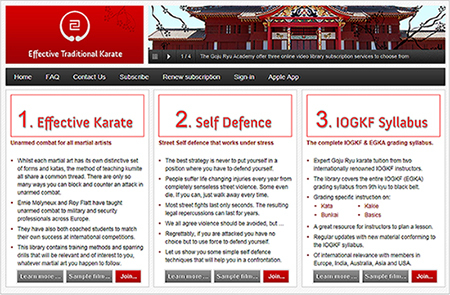 The idea of the library is to provide a convenient and easily accessible resource of online instruction that directly reflects the techniques currently being taught by EGKA–recognised instructors in their dojos around the country. Of course, as Sensei Ernie is a Vice Chief Instructor for the IOGKF Executive Committee, it also means this library will be of relevance to any IOGKF affiliated student where ever they happen to train in the world. New students to Goju Ryu should subscribe to the first level of Section 3 (IOGKF sylabus). With an annual subscription cost of £25, it will provide you with all the instruction you will need for basics, kata, bunkai and kakie right up to Seiyunchin. 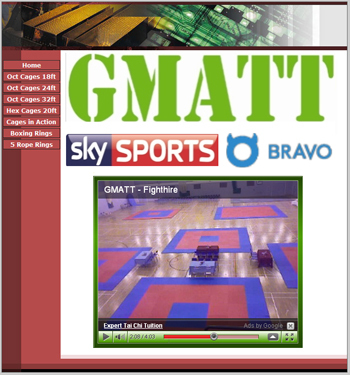 You can add Sections 1 (kumite) and 2 (self defence) to your subscription later at any time. Click here to subscribe to Level 1 of the IOGKF syllabus. Sensei James Boardman runs a very successful and professional martial arts cage, mats and scoring machine hire business. The EGKA use his excellent services and teams to provide all the mats and competition scoring machines for all our regional and national competitions. We can highly recommend his company.